Every year, numerous drugs are proposed by the pharma industry to treat a disease. Companies spend a lot of time and money over clinical trials to determine the possible side effects a drug can cause. FDA also invests a large number of funds in ensuring that only those drugs that are safe for the system are marketed. Despite these measures, drug toxicity accounts for one-third of the cases of rejected novel drugs. Every drug that is prescribed can be harmful to certain patients. This depends on the age, gender, genetic predisposition, drug allergy or inappropriate dosage or use of the drug. According to Paracelsus, the father of toxicology, all compounds are toxic at high doses and all are safe at low doses. It is important to accept that no drug is specific in its action and understanding a drug’s adverse effects is as important as understanding its beneficial effects. On-target adverse effect: Drug binds to the desired target (enzyme, protein or any molecular component of the body to which the drug attaches and produces therapeutic effects) but at inappropriate concentrations or incorrect tissue producing an undesirable biological response. Off-target adverse effect: Drug binds to alternate target and produces side effects. Bioactivation: Drugs after ingestion or administration are converted into different compounds or metabolites which could possibly pose a risk to the system. Production of harmful immune responses: This accounts for the allergic responses elicited by a drug in certain individuals. Idiosyncratic responses: These include rare side effects in which the cause or mechanism is not clearly understood. 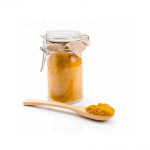 Turmeric or ‘Gold Dust’ of Ayurveda is a spice native to India and it is also used for curative and therapeutic purposes in traditional medicine. 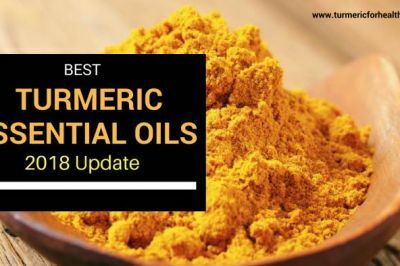 Turmeric is reported to reduce the burden caused by drugs in the form of side effects or effects due to prolonged use or due to drug interactions and thus this herb can be visualized to have a positive role against drug-induced toxicity. Turmeric is a spice-packed with medicinal benefits due to the presence of bioactive compounds in it. 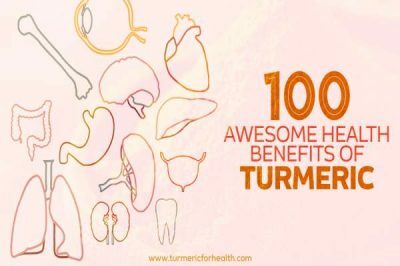 Apart from adding flavor and color to foods, turmeric is being used for the past thousand years to treat a variety of ailments. 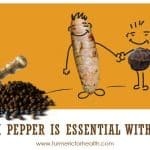 Turmeric has proven anti-inflammatory, antioxidant, anti-microbial, anti-cancer and other pharmacological properties. Curcuminoids comprise curcumin, monodemethoxycurcumin and bisdemethoxycurcumin. They are natural antioxidants and impart the yellow color to the powder. Turmeric can help in drug-induced toxicity in several ways. Turmeric is an amazing anti-oxidant and prevents drug-induced oxidative stress preventing renal and liver injury. Its anti-inflammatory property helps in protecting the liver and intestine. 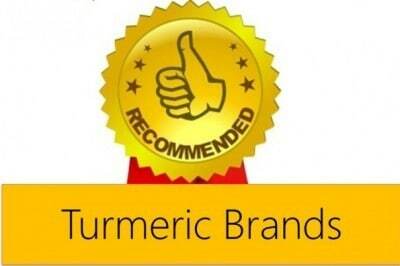 Turmeric is a great detoxing agent and reduces drug toxicity in the body. It helps in recovering from harmful effects of chemotherapy. Despite various benefits, drugs pose side effects like oxidative stress that injures organs like the liver and kidney. It is important to include anti-oxidants in the diet if consuming such medications to avoid the side effects. Drug-induced oxidative stress is one of the mechanisms by which toxicity spreads to every organ in the system. Commonly used drugs such as analgesics, antipsychotics, cancer therapies contribute to oxidative stress. Reactive molecules that contain oxygen are known as reactive oxygen species (ROS). They are normally formed in the body as a by-product of metabolic activity and are vital for cell-signaling pathways. At high levels, ROS damage key cellular components like DNA, protein and lipid leading to cell death. Antioxidant defences in the body regulate the amount of ROS. Imbalance between ROS and antioxidant agents is known as oxidative stress. Metabolism of a drug can produce a reactive intermediate which can be converted to a ROS and thus it can give rise to conditions of oxidative stress. The immune system also contributes to drug-induced toxicity in organs like kidney and liver. Tumor necrosis factor is a protein involved in inflammation that primarily regulates immune cells and in case of toxicity it worsens liver and kidney injuries. Turmeric aids in controlling drug-induced organ toxicity by employing its anti-oxidant and anti-inflammatory properties. As an anti-oxidant, it scavenges ROS, inhibits lipid peroxidation (degradation of fats and related compounds by ROS in cell membrane leading to cell death) and by increasing the production of antioxidant enzymes. A study published in Genetics and Molecular Biology in 1999 reported that bleomycin, a drug commonly used in cancer treatment exerts toxic effects by increasing oxidative free radicals and damaging the DNA. This leads to chromosomal aberrations and mutations. 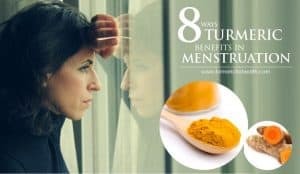 The aim of the study was to examine the effects of turmeric and its extract, curcumin on toxicity caused by bleomycin in ovary cells. The results of the study suggested that both turmeric and curcumin have anti-oxidant properties that protected oxidative stress induced by the drug hence preventing toxicity on the cells. 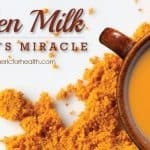 Studies published in Redox Biology reveal that curcumin has anti-oxidant properties that regulate nuclear factor erythroid-derived-2 (transcription factors that regulate anti-oxidative proteins protecting against oxidative damage) , inhibition of mitochondrial dysfunction which is caused by drugs (anti-oxidants can improve mitochondrial dysfunction), reduces inflammation, preserves the efficiency of anti-oxidant enzymes and prevents oxidative stress. The study reported that anti-oxidant property of curcumin protects kidney injury induced by drugs like cisplatin, oxaliplatin, and gentamicin among others. The anti-oxidant effects of turmeric will prevent oxidative stress induced by drugs hence preventing renal and liver injury. High dosage of drugs often causes oxidative stress, inflammation, and toxicity of the liver leading to liver injuries. Turmeric has tremendous potential to protect the hepatic cells and tissues from drug-induced side effects. 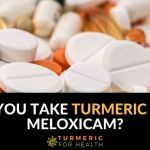 A study published in examined the effect of turmeric in hepatotoxicity caused by a drug called Methotrexate which is commonly used in the treatment of cancer and autoimmune diseases. Its use is limited as it leads to the toxicity of the liver on consumption over a period of time. They found that turmeric treatment protected the liver whereas methotrexate caused liver damage by reducing its anti-oxidant property. Moreover, turmeric attenuates all side effects induced by the drug. An observational study suggested that curcumin plays an essential role in preventing liver damage and injury caused by an overdose of drugs or chemical intoxication. According to the study, this property of turmeric accounts for its anti-inflammatory as well as antioxidant effects. The study concluded that curcumin can be used as a pharmacological agent in curing hepatic disorders worldwide. The anti-oxidant and anti-inflammatory properties of turmeric together contribute to its hepatoprotective activity. It prevents liver damage and injury associated with drug overdose and chemical toxicity. Toxicity caused by drugs is a common side effect and often goes undetected for a long period leading to greater complications in the future. Cisplatin is a drug often used in cancer treatment but is associated with various toxic side effects. It is responsible for causing neurotoxicity and hepatotoxicity. A study conducted by Rezaee et al. and his colleagues have shown that curcumin prevents side effects caused by the drug and also prevents resistance of cancer cells to cisplatin. This may be due to its detoxifying property. An observational study by Akram et al. highlighted the hepatoprotective effects of curcumin as it reverses the production of aflatoxins by the liver preventing liver injury. It reduces acute and sub-acute liver injury caused by environmental toxins. Drugs may cause toxicity of nerve cells, liver and kidney. This may induce oxidative stress and inflammation injuring the cells and organs affected. Turmeric aids in detoxifying the body of all toxic chemicals hence preventing injury. Numerous studies report that Methotrexate, a drug commonly used to treat various types of cancer and other diseases causes side effects. One such common side effect is mucositis that is severe inflammation and ulcer of the digestive tract. 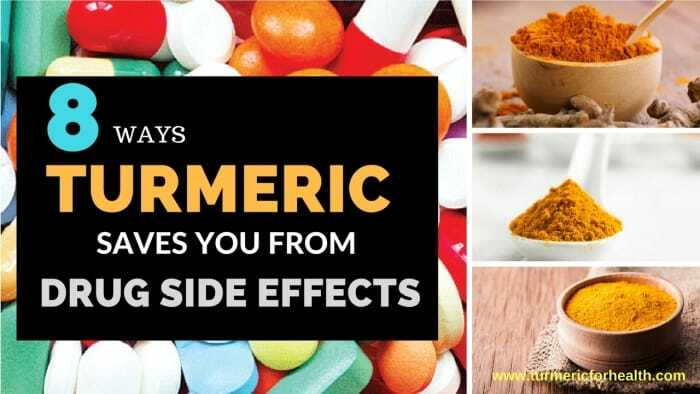 According to a study published in the Chinese Journal of natural medicines in 2013 showed that turmeric administration in animal models showed attenuation in side effects caused by the drug. The drug caused severe blunting and shortening of the villi (villi increase surface area of absorption in the small intestine) which alters uptake of sugar and peptides, infiltration or accumulation of inflammatory cells like cytokines in the tissues, bleeding of lamina propria (lining of the connective tissues), epithelial cells that are cells lining all blood vessels and organs of the body are damaged and oxidation of lipids. Turmeric was found to significantly reduce oxidation of lipids by free radicals and prevent damage induced by methotrexate in the small intestine. An anti-inflammatory drug called Indomethacin also has certain side effects and causes gastric ulcers. A study published in the Journal of Biological Chemistry in 2004 observed the effects of turmeric in an animal model of indomethacin-induced gastric ulcers. According to the study, the anti-inflammatory and anti-oxidant property both contribute to preventing inflammation and oxidative stress that enhance the ulcer. Curcumin reverses side effects caused by the drug and shows anti-ulcer activity by inhibiting matrix metalloproteinases(these are a group of proteins involved in the degradation of extracellular matrix proteins during growth of cells and tissues). Gastric inflammation and ulcers of the small intestine are commonly observed as an adverse side effect of drugs. To help with improvement of stomach health one can consume turmeric on a daily basis. Most common side effects of drugs are inflammation of the gastrointestinal tract and renal system. However, it has been found that turmeric possesses immense potential to prevent gastric and kidney inflammation. Indomethacin is an anti-inflammatory drug that has certain side effects and causes gastric ulcers. Curcumin is found to inhibit gastric inflammation caused by this drug and non-steroidal anti-inflammatory drugs. Similarly, a study published in Journal of Bioscience and Bioengineering reported that turmeric prevents kidney inflammation. It prevents kidney dysfunction caused by cisplatin, a common anticancer drug by significantly reducing levels of proinflammatory mediators. Turmeric has potent anti-inflammatory properties that can prevent inflammatory side effects caused by drugs used in several treatments. Chemotherapy is a commonly used method for the treatment of cancerous cells however it has various side effects. 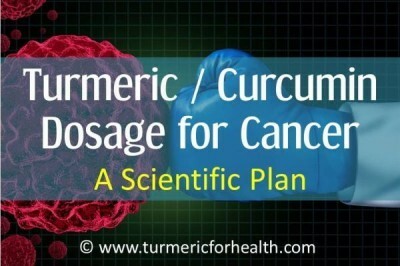 Numerous studies have found that turmeric prevents this chemotoxicity caused by various drugs used in cancer treatment. According to a study published in British Journal of Pharmacology in 2000, bleomycin i.e. 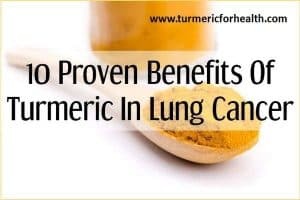 a drug used in cancer treatment causes pulmonary fibrosis (scarring and damaging of the lung) and administration of curcumin in animals induced with this drug was found to inhibit pulmonary fibrosis. The study concluded that curcumin prevents side effects induced by the cancer treatment drug due to its potent anti-inflammatory and anti-fibrotic activity. Chemotherapy often involves another drug called cisplatin. However, it has been observed that cisplatin causes several side effects including renal toxicity. An experimental study conducted by Kuhad et al. in 2007 that curcumin prevents nephrotoxicity induced by cisplatin when taken along with the drug. This was attributed to its strong anti-oxidant and anti-inflammatory property. Another anti-cancer chemotherapy drug called Adriamycin is highly effective in treating cancer cells. However, it has side effects like nephrotoxicity. A study performed by Venkatesan et al. evaluated the effectiveness of curcumin in treating Adriamycin-induced renal toxicity. The study found that curcumin prevents renal injury by inhibiting oxidative stress by increasing levels of anti-oxidant glutathione in the kidney and terminating oxidation of lipids in the microsomes and mitochondria. A study published in Phytotherapy research in 2014 demonstrated the positive effects of lecithin delivery system of curcumin commonly called Meriva. This system is capable of reducing the side effects caused by chemotherapy and radiotherapy treatments. The study found that the lecithin delivery system of curcumin alleviates side effects of cancer treatment by improved anti-oxidative responses and reducing inflammation in cancer patients. Turmeric prevents chemotoxicity due to its characteristic anti-oxidant, anti-inflammatory and detoxifying properties. It can be helpful for people suffering side effects from drugs during their chemotherapy treatment. Kidney toxicity is commonly induced by an overdose of certain drugs or consumption of drugs over a period of time. Turmeric improves kidney health by its anti-oxidant and anti-inflammatory properties. A study conducted by Antunes et al. reported that when curcumin was administered with cisplatin drug it was capable of preventing nephrotoxicity caused by cisplatin. The study concluded that curcumin protects renal health from cisplatin-induced nephrotoxicity by improving antioxidant defenses. Turmeric’s anti-inflammatory property is also helpful in preventing kidney toxicity and inflammation. A study published in the Journal of bioscience and bioengineering suggested that curcumin attenuates renal dysfunction caused by cisplatin, a common anticancer drug by significantly reducing levels of proinflammatory mediators. Patients on cancer therapy or other drugs are often at a greater risk of developing renal toxicity due to the side effects of these drugs. 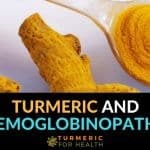 Turmeric can help patients as it reduces the side effects of the drugs and enhances their activity. Drugs like cisplatin are often responsible for causing testicular toxicity which can be cured by curcumin, a bioactive compound of turmeric. Cisplatin is commonly used as an anti-tumor drug however it is known to cause testicular toxicity. A study conducted by Tousson et al. has reported that cisplatin caused a reduction in testicular weight, sperm count and motility, reduced levels of glutathione and low plasma testosterone levels affecting reproductive health. The study observed that curcumin significantly improves testicular toxicity caused by cisplatin by decreasing abnormality of sperms and restoring normal protein levels. Another study reported that testicular toxicity in rabbits induced by cisplatin was cured by administration of curcuminalon with curcumin. Results of the study showed that curcumin administers along with cisplatin increased its efficiency by preventing damage caused by it to the testes. Curcumin is capable of reversing damage caused by cisplatin on the testes thus improving efficacy of the drug and reproductive health of individuals suffering from its side effects. Chemotherapeutic drugs like cisplastin, bleomycin, anticonvulsant and antidepressants like sodium valproate and fluoxetine etc. Few of the drug-induced toxicities and the organs affected are mentioned below for a better understanding of turmeric’s therapeutic effect. Paracetamol is a commonly available pain killer and also used to reduce fever. Paracetamol overdose is known to cause fatal liver damage and it is the most common cause for acute liver failure in UK and USA. A study investigated curcumin’s protective action against liver damage caused by paracetamol overdose. 400mg/kg of curcumin and 500mg/kg of paracetamol were administered in different groups of rats. Lowered antioxidant activities, infiltration of immune cells, increased levels of inflammatory mediators like IL-1, IL-8, TNF-alpha was seen in paracetamol treated groups while curcumin administration reduced all the paracetamol-induced alterations. Results indicated that curcumin showed strong protective action against paracetamol induced damage by displaying its antioxidant and anti-inflammatory properties. Bleomycin is an anti-tumor antibiotic which is known to cause pulmonary fibrosis as a major side effect. Pulmonary fibrosis is a condition in which scars develop in the lung tissue. This is due to the accumulation of fibrous tissues in the lung, leading to thickening of the walls and troubled breathing. Curcumin is proven to inhibit bleomycin-induced pulmonary fibrosis. Bleomycin-induced pulmonary fibrosis is marked by infiltration of immune cells to lung tissues followed by the production of toxic reactive oxygen species and inflammatory mediators such as TNF-alpha. For experimental purposes, bleomycin was administered to rats to induce pulmonary fibrosis. 300mg/kg of curcumin was administered 10 days before the treatment and then continued throughout the duration of the treatment. Elevated levels of TNF-alpha and reactive oxygen species were seen in bleomycin-treated group while curcumin significantly reduced these levels. 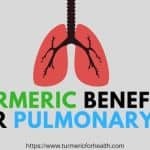 Results suggested that curcumin works as a strong anti-inflammatory and anti-fibrotic agent against bleomycin induced pulmonary fibrosis. Indometacin is a non-steroidal anti-inflammatory drug prescribed for fever, pain, stiffness, and swelling. As a part of its painkiller activity, indometacin inhibits enzymes like cyclooxygenases 1 and 2 which contribute to inflammation. COX-1 and 2 are also responsible for the production of prostaglandins which are compounds similar to hormones. Prostaglandins primarily contribute to fever, pain and inflammation as well as are essential to maintaining mucosal lining of the gastrointestinal tract. Hence inhibition of COX-1, 2 leads to inhibition of prostaglandins and development of gastric ulcers. Research has proven that curcumin exerts a gastroprotective effect against indomethacin induced a gastric ulcer. Curcumin inhibits the formation of indomethacin induced gastric ulcers in a dose-dependent manner offering 82% protection at 25mg/kg. Indometacin causes oxidative damage by initiating lipid peroxidation and increased production of reactive oxygen species. Curcumin protects against oxidative damage by scavenging ROS and increasing level of antioxidant enzymes. Curcumin also protects against gastric damage by indometacin by displaying its antioxidant property. Doxorubicin is a chemotherapeutic drug which is known to cause a number of adverse effects such as hair loss, nausea, vomiting, skin reactions, damage to heart and liver. A study was conducted to observe turmeric’s protective effects against DOX-induced cardiac, renal and hepatic toxicity in rats. Various parameters which when altered are indicative of damage in particular organs were monitored. 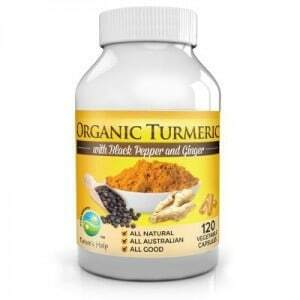 Turmeric extract was found to attenuate DOX-induced cardio and hepatic toxicity. It blocked DOX-induced nephrosis. Turmeric was also successful in reducing increased cholesterol levels caused by DOX. 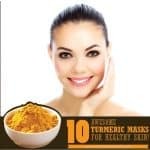 Results suggested that turmeric made use of a variety of its medicinal properties to ward off DOX-induced toxicity, the most important one being antioxidant property. Fluoxetine is a drug prescribed for depression that is known to cause side effects like insomnia, anxiety, dermatological reactions, nausea, sinusitis, sexual dysfunction etc. Curcumin is known to attenuate fluoxetine-induced reproductive toxicity in rats. Fluoxetine causes reproductive toxicity by creating conditions of oxidative stress. Fluoxetine treatment in rats leads to degeneration of cells of the male reproductive system, inhibited spermatogenesis, brought about histological changes (change in tissues of the organ) and lowered the levels of testosterone and antioxidant enzymes. Curcumin treatment brought about improvement in histological changes increased testosterone levels and reduced oxidative stress by inhibiting lipid peroxidation. Curcumin ‘s antioxidant property aided in reducing fluoxetine induced male reproductive toxicity. Gentamicin is an antibiotic that is used to treat bacterial infections. It is administered intravenously, intramuscularly or topically to treat infections as the oral dose is not absorbed appropriately by the intestine. Gentamicin is a nephrotoxic agent that inhibits production of protein in kidney cells leading to cell death and kidney failure. Dietary consumption of turmeric and ginger has proven to reduce gentamicin-induced nephrotoxicity. As a part of the experiment renal damage was induced in rats by administering 100mg/kg gentamicin for 3 days and pretreatment of turmeric and ginger in the diet at 4% and 2% was provided. Gentamicin caused significant renal damage and oxidative stress in kidneys. Ginger and turmeric pretreatment protected the kidney and reduced oxidative stress by attenuating renal damage and improving antioxidant status in kidney. As such, there is no prescribed dosage for drug-induced toxicity. Turmeric is best taken as part of the diet. In the absence of a specific dosage it is advised to start with small doses such as ¼-1/2 tsp a day for a week and if no gastric side effects are seen one can increase the dose gradually by ¼-1/2 tsp every week. It is important to include fats and black pepper in your diet while taking turmeric as it helps in its absorption which otherwise is low. 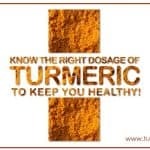 Though turmeric is a herbal supplement it is prone to cause toxicity in certain individuals. Caution is to be exercised while consuming turmeric supplements due to the presence of substances which enhance its absorption in the body and one could be allergic to them. The average cost to develop a safe and profitable drug is around US$ 1.7 billion. Previously the metabolism and absorption of the drug in the body used to be a major hurdle in drug development while today toxicity issues have increased. Despite toxicity and safety assessment performed at every stage of drug development, almost all drugs bring about side effects, someway or another. Overdoses, inappropriate or prolonged use, drug interactions or individual’s predisposition to allergy are few factors contributing to drug toxicity. 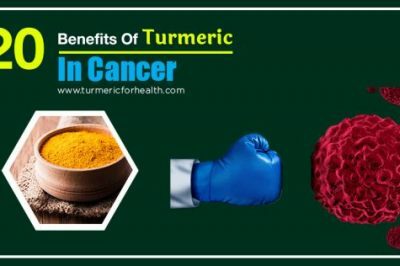 Turmeric is proven to ameliorate adverse effects caused by drugs and one can look forward to this herb as an adjuvant to standard therapy so as to overcome side effects. Very thorough job with this information. On a personal note, at one point in my life my Cholesterol was at 219 and my Triglycerides were 238!! Not good. Two years ago I started taking 6 grams of turmeric per day (sometimes twice a day). In August of last year (2017), I had a lipid profile done. My Cholesterol was 160 and my Triglyceride level was 87!!!! And that was with NO OTHER changes. I did not take ANY meds, I DID NOT lose weight or change my diet. I just took raw turmeric. 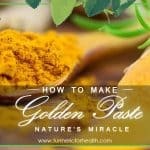 That is my personal testimony that turmeric is a “miracle” plant and, I believe, a gift from God. Keep up the good work. 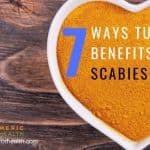 At first I took Turmeric for 5 days only and it really helped. Can you take it everyday or do you need a break in between. 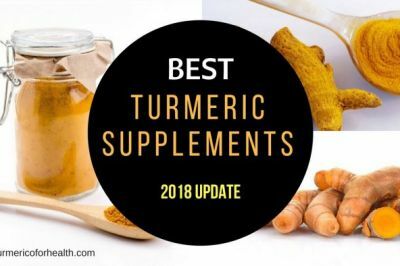 Dietary turmeric would not cause any drug interactions and studies show that turmeric/curcumin works better than statins in reducing cholesterol.